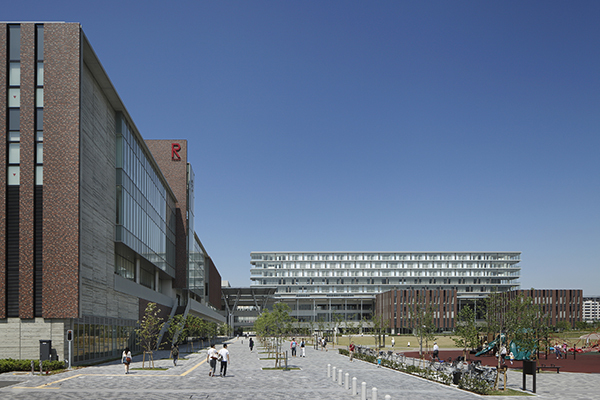 Ritsumeikan University Osaka Ibaraki Campus | PROJECT | YAMASHITA SEKKEI INC.
Because the site is adjacent to the disaster prevention park, we are pursuing a campus integrated with the park and integrated with the local community. 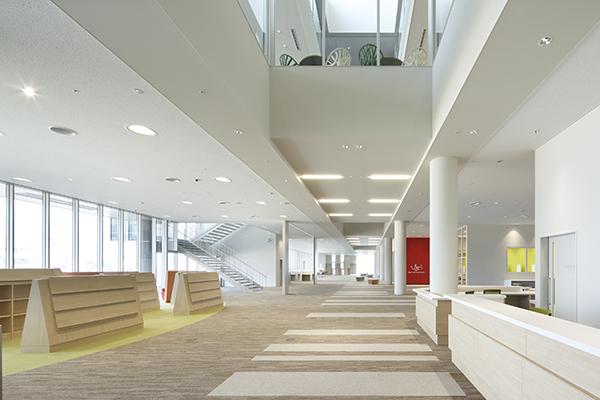 We arrange libraries, halls, restaurants, etc. 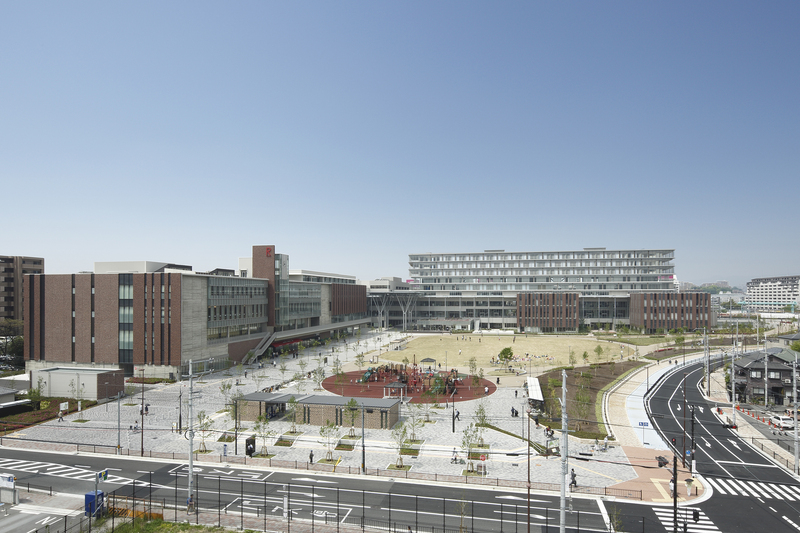 so as to surround the park, make it an open plan with no walls and no fences, and make it available to all citizens. 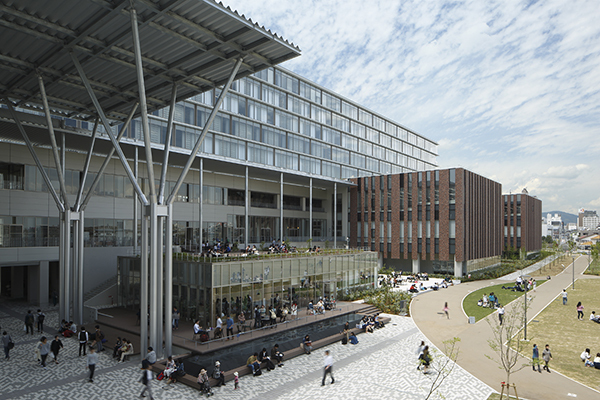 The main road “Concourse” on the campus and the “Green Canal” that goes straight to it are rooftop greening, delivering the signs of light, wind and green to the interior space. 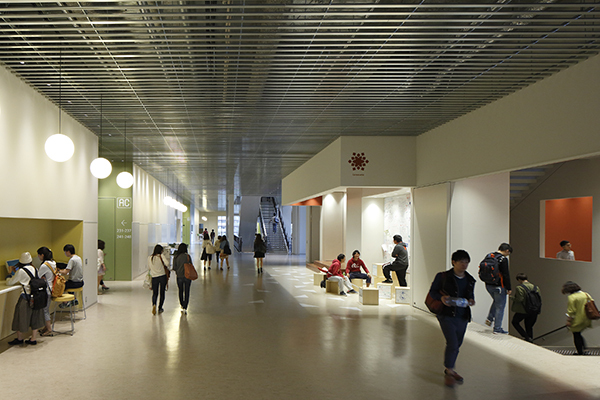 We aimed to create a university where the whole campus became a “learning place” by forming a network of independent learning places for students scattered throughout each place.